NASAEarth from space looks blue thanks to all of its water. 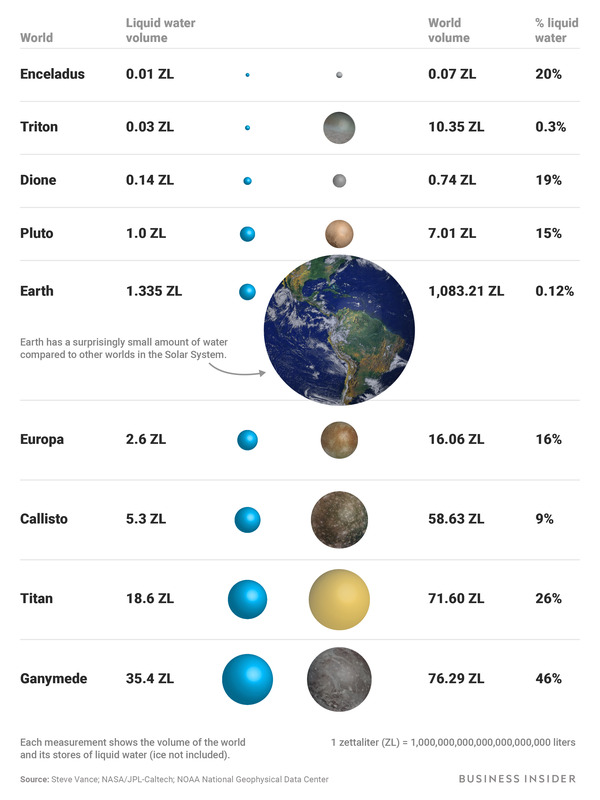 Earth seems to have a huge water supply, but it’s relatively dry compared to other ocean worlds. Jupiter’s ice-covered moon Europa has about twice the volume of Earth’s liquid water. Consider Jupiter’s ice-encrusted moon Europa, which is smaller than Earth’s moon. Scientists recently used 20-year-old Voyager data to find even more evidence that Europa has twice as much water as our planet. Even tiny Pluto may have an ocean nearly as large as Earth’s. Steve Vance, a planetary scientist at NASA’s Jet Propulsion Laboratory, has kept a close eye on research about ocean worlds over the years. He has rounded up estimates of ice thickness and ocean depth throughout the solar system to calculate roughly how much water may exist. Jenny Cheng/Business InsiderEarth dwarfs other ocean worlds in the solar system, but several Europa, Pluto, and others have bigger oceans of liquid water. Amounts of water are shown in zettaliters (ZL), a unit that’s equal to 1,000,000,000,000,000,000,000 litres or 1 billion cubic kilometers. 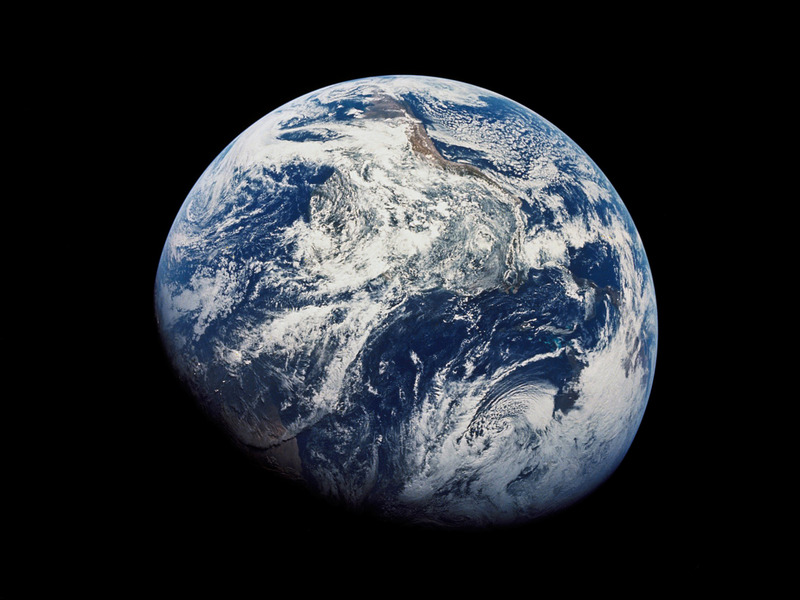 Earth harbours about 1.335 ZL of water, according to the National Oceanic and Atmospheric Administration. In order of how much liquid water each world is estimated to have (from least to most), the ranking is: Enceladus, Triton,Dione, Pluto, Earth,Europa,Callisto,Titan, and Ganymede. Mimas, a moon of Saturn, and Ceres, the largest asteroid in the solar system, might also have oceans. But scientists aren’t yet sure how big each one might be, if they exist at all. More space missions are required to find out. NASA is currently planning a mission to Europa to map the icy moon in unprecedented detail. The Europa Clipper is expected to launch between 2022 and 2025. The probe will hopefully give us a better estimate of the size of Europa’s ocean, and repeatedly “taste and sniff” water plumes spraying from its surface. This story has been updated to show the percentage of a world’s volume that is liquid water (not liquid and ice).